Every contemporary generation seems to be quietly – and often not so quietly - reviled by their intergenerational peers. The fact that ‘intergenerational’ is really a euphemism for parent-child relationships probably explains this phenomenon. In the western world, the baby boomers complain about the loss of the idealised and progressive liberalism that they fought for, wasted by their lazy, sullen and materialistic kids. Similarly, Gen X – the wealthier and educated capitalists who grew up during the end of the Cold War - are now criticised for their cushy, middle-class, suburban lifestyles. Gen Y – the generation of your beloved gringos - has a particular bone to pick with both pieces of bread in our generational sandwich. 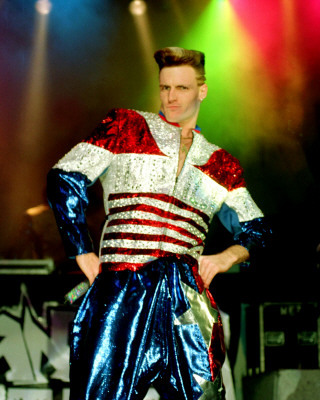 Gen X yuppies are responsible for Vanilla Ice, 80s fashion and rising rent prices in ‘grunge-chic’ student areas. Baby Boomers can take credit for the Iraq War and the Global Financial Crisis. An unfair comparison, Gen X? I will let you be the judge. The next generation – who are likely to be labelled as the somewhat diminutive ‘noughties’ – is still in its twitter-happy infancy. Thus, in terms of sociological importance – and high-brow pub banter - Gen Y is coming of age. And not just in the American Pie kind of way. We have reached the point where our generation will soon dominate that twenty to fifty year-old age bracket that stands at the helm. For the last couple of decades we have been sitting in the passenger seat, witnessing and having our lives shaped by the actions of our generational elders. We will soon take the wheel. But in 40 years, when we lie in our catatonic space beds, watching the millenials make love through touch screens and pray to the iGod, what will be our legacy? I have meandered into this terrain in several recent conversations. What has resulted is not particularly pretty, or flattering. Apparently, we are lazy, self-obsessed, superficial half-wits who have lost the art of conversation and human contact. We are self-indulgent, unemotional and unwilling to work hard. We do not have an appreciation for skill, craftsmanship, learning or proper training. Most of all, we are impatient. We want everything here and now. Before you smash the screen of your MacBook with your Gossip Girl Boxset, bear in mind that these conversations occurred mostly with other Gen Y-ites. Unlike generations before us, we seem to have recognised our faults. But in a world where we can get any information with the press of the button, could we really live any other way? But will Wikipedia really be the highlight of our legacy? Wouldn’t we prefer to be known as the generation that fought climate change, that eradicated world poverty, that led peaceful governments, the generation-that-never-went-to-war? An impossible task, you say? How are we going to begin to save the world? Hang on, let me finish this Modern Family episode. Then we can start a facebook group and get crackin’.